Cycling holidays are an ideal way to explore a country. Supported, guided, and self guided bike tours are available in Europe and around the world. Bicycle touring doesn't have to be hard work. On a cycling holiday everything is organised for you. Read on to find out more. Although I undertake solely self-supported bike tours, I have been meaning to write about cycling holidays for some time. This is a general introduction to what a cycling holiday is, and what you might expect on one. Organised cycling holidays have been gaining in popularity year after year. Avid cyclists and novices alike, are attracted by a more active vacation than simply sitting on a beach. Whats more, there is little to no planning involved, as the logistics of a bike tour are all taken care of. This includes bike rental, luggage transfers between hotels, and route planning. That leaves plenty of time to turn the pedals, and admire the scenery. The beauty of cycling holidays, is that the ‘hard parts' of bicycle touring are taken care of. There is no need to worry about where to stay at the end of a days ride. There is no need to carry heavy panniers. The hotels are all pre-booked, and baggage is transported between each hotel. All you really need to take when cycling, is a backpack with some essentials in it. Cycling holidays come in three basic forms. These are self-guided, guided, and supported bike tours. Each one has its advantages, depending on ability and fitness level. Self-guided bike tours are suited to experienced cyclists. A certain amount of navigation and map reading will be required. Basic knowledge of bicycle maintenance such as fixing flats would also be helpful. 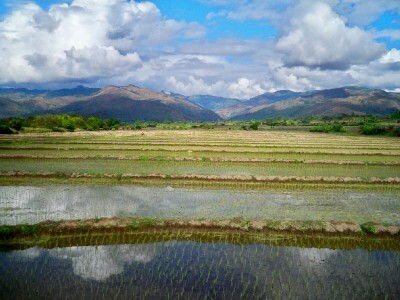 In return, these tours offer the most independence and flexibility. Cyclists set their own pace, and choose where and when to stop during the route. The hotels are booked in advance, and baggage is transferred between them. A good example of this is a tour I took recently cycling from Ulm to Lake Constance in Germany. 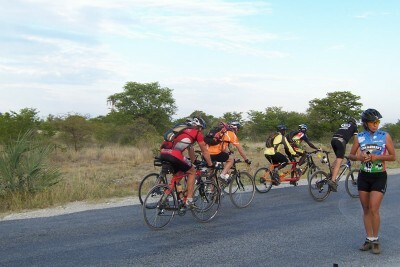 Guided cycling tours are a great idea for those people that want to cycle in a group. It is more social, and new friends are made along the way. Group sizes will vary depending on the tour operator. A guide will accompany the group, pointing out highlights along the route. Again, the hotels are booked in advance, and baggage is transferred between them. On this type of tour, you might need to bring your own tools and other bike touring essentials. Supported bicycle tours do not have a guide. They do have a support vehicle though. Sometimes, this will take the form of a SAG wagon. This will carry food, spares, gear, water, and the luggage. On some tours, it may be possible for cyclists to ride in it on stages they do not feel like cycling. As with guided cycling tours, people will find themselves part of a larger group, with the camaraderie and social aspect that it provides. Accommodation is booked in advance, and baggage is transferred between. 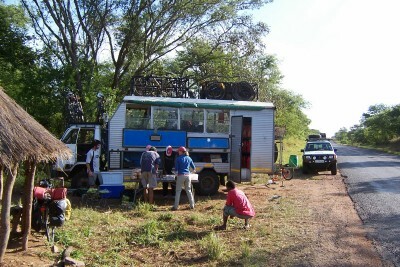 I bumped into the Tour D'Afrique back when I was cycling from England to South Africa. This is the ultimate example of supported bicycle touring! I got into cycle-touring only last summer and LOVE it! It’s such a great way to see any destination. I have to have a look at the tripsite as well! It really is the best way to travel! My husband and I, we love to cycle, and we are thinking to travel through some countries by bicycle. Your post come really handy, give us some ideas of how to plan and It´s really good to know that there are companies specialized on this type of tours giving all the support we can need. Cycling holidays are definitely becoming more popular and I can totally understand why – they look like so much fun! i think a cycling holiday would be a good way to see a country slowly whilst getting fit at the same time! wow, that’s amazing! I’m impressed that you cycled from England to South Africa! I love biking, but I’m not an avid one nor very athletic. I do want to cycle at least once in my life in a long distance! It would be an amazing experience. Thanks for sharing! I think it is time I tried a bike tour on our next cruise. Many Caribbean islands offer various bike tours from relaxed to rigorous and we have always thought, “maybe we should try one”. After reading your post, I am more motivated then ever to try one of these tours as an alternative to a stale bus ride around the island. Thanks for the inspiration! I miss cycling! I’ve been dreaming to cycle around Latvia one day (the country is very small, so it’s absolutely doable) but I haven’t been on a bicycle for 2 years! I left it in my childhood, I guess. Wow, I’ve never thought of taking a cycling holiday–definitely tempted now! Thanks for the great post! I’ve hired bikes for a day or so’s exploring from time to time but I havce to be honest I’ve never thought about devoting an entire trip to it though, it must be quite an experience! It’s definitely worth trying at least once! Wow that is so cool… I love bike riding but casually as I am not very athletic. Whenever I see people passing through in a large biking group I assume they are super fit! But this was a nice breakdown of options for everyone. Thank you!